Over 100 million girls in developing countries cannot read or write. They do not receive any training and no paid work. In order to give them a self-determined and better future, the development and humanitarian organization Plan International and Rebelle have launched the ‘Rebelle with a cause’ fundraising campaign. 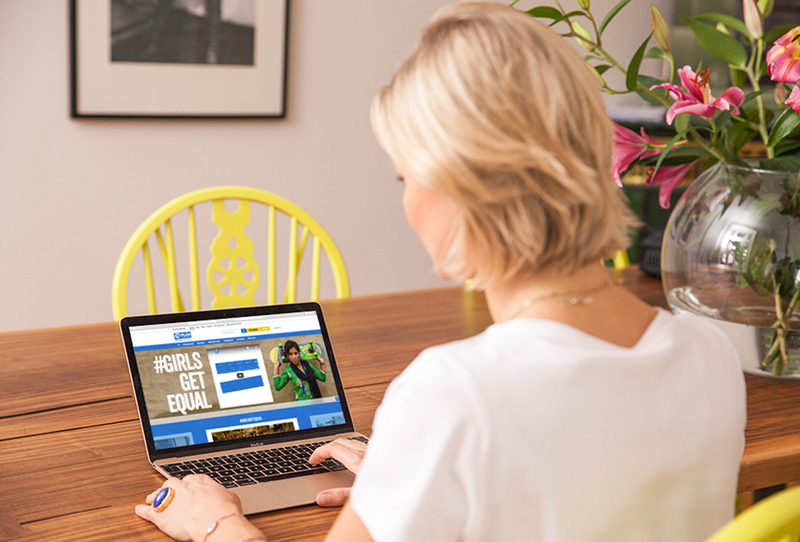 Germany's leading online marketplace for designer second-hand fashion, supports the global Plan movement #girlsgetequal, that promotes equality and better education opportunities for girls. The money will benefit girls and young women in Zimbabwe and help them to earn their livelihood through entrepreneurial training. Starting now you can easily donate the sales of your preloved designer pieces to Plan International. For each sold item, we will donate our service fee and the commission, so that 100% of the revenue goes to the Plan project. “We want to help girls and young women to improve their professional and entrepreneurial skills. This enables them to exploit economic opportunities and therefore secure their livelihood independently”, explains Rebelle founder Cécile Wickmann who herself sponsors a young girl in the project region of Chiredzi, Zimbabwe. In Zimbabwe, young women have little chances on the job market. Early marriages, pregnancies and a traditional understanding of gender models prevent them from successfully finishing school. The ‘Rebelle with a cause’ initiative supports the Plan project and gives girls and young women the opportunity to take part in professional trainings. 3,000 young women benefit from microcredits and savings groups, enabling them to start their own small businesses. The project is part of the global movement for the equal rights of girls #girlsgetequal. "All girls should grow up healthy, receive equal opportunities as boys and lead a self-determined life. We are delighted that Rebelle is supporting us with such a comprehensive initiative”, says Maike Röttger, Managing Director of Plan International Deutschland. Find more information about the ‘Because I am a Girl campaign’ here.